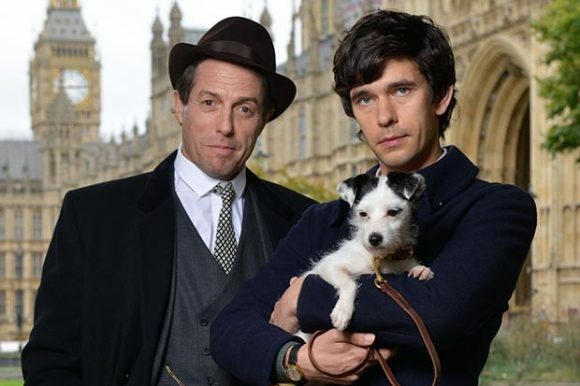 Nine months after it enraptured UK critics, A Very English Scandal at last has a NZ air date. The darkly humorous dramatisation of the Jeremy Thorpe scandal will screen 8.30 Wednesdays from February 13 on SoHo. It charts the shocking true story of the first British politician to stand trial for conspiracy to murder: Jeremy Thorpe (Hugh Grant), the youngest leader of any British political party in 100 years. In the late 1960s, when homosexuality had just been decriminalised, he thought there was only one way to stop his vociferous ex-lover, Norman Scott (Ben Wishaw), from ruining his brilliant career. The series was universally acclaimed but wasn’t offered to broadcasters here until several months are its May 2018 BBC premiere. Kiwis look to be among the last in the world to see why Grant and Wishaw were Golden Globe-nominated. Also new next month on SoHo will be: S2 of Counterpart (8.30 Thursdays from February 14) and S3 of Fortitude (9.30 Sundays from February 24) while returning for Box Set Saturdays will be Kidding, Mr Inbetween, Counterpart (S1), Condor and Berlin Station (S3).